(Trent Nelson | The Salt Lake Tribune) Matthew J. Grow, director of publications for the LDS Church History Department, speaks at a news conference regarding the LDS Church publishing the first volume of new history, Saints: The Story of the Church of Jesus Christ of Latter-day Saints in the Latter Days. Tuesday Sept. 4, 2018. (Trent Nelson | The Salt Lake Tribune) Scott Hales at a news conference regarding the LDS Church publishing the first volume of new history, Saints: The Story of the Church of Jesus Christ of Latter-day Saints in the Latter Days. Tuesday Sept. 4, 2018. 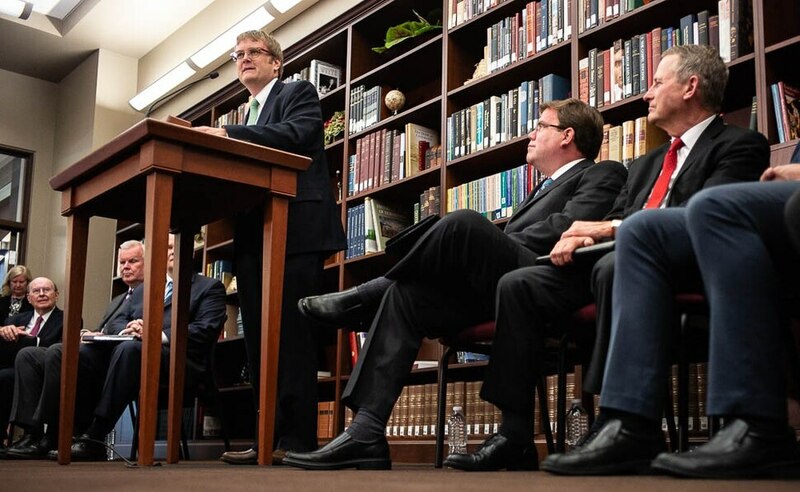 (Trent Nelson | The Salt Lake Tribune) Historian Steven C. Harper at a news conference regarding the LDS Church publishing the first volume of new history, Saints: The Story of the Church of Jesus Christ of Latter-day Saints in the Latter Days. Tuesday Sept. 4, 2018. (Trent Nelson | The Salt Lake Tribune) Elder Dale G. Renlund speaks at a news conference regarding the LDS Church publishing the first volume of new history, Saints: The Story of the Church of Jesus Christ of Latter-day Saints in the Latter Days. Tuesday Sept. 4, 2018. 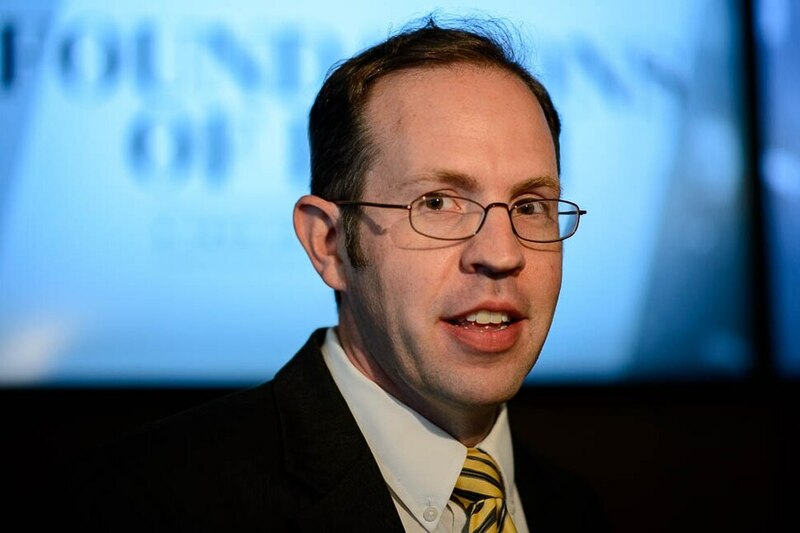 (Trent Nelson | The Salt Lake Tribune) Church Historian and Recorder Steven Snow at a news conference regarding the LDS Church publishing the first volume of new history, Saints: The Story of the Church of Jesus Christ of Latter-day Saints in the Latter Days. Tuesday Sept. 4, 2018. (Trent Nelson | The Salt Lake Tribune) Church Historian and Recorder Steven Snow speaks at a news conference regarding the LDS Church publishing the first volume of new history, Saints: The Story of the Church of Jesus Christ of Latter-day Saints in the Latter Days. Tuesday Sept. 4, 2018. At left is Dale G. Renlund. (Trent Nelson | The Salt Lake Tribune) Historian Lisa Tait Olson at a news conference regarding the LDS Church publishing the first volume of new history, Saints: The Story of the Church of Jesus Christ of Latter-day Saints in the Latter Days. Tuesday Sept. 4, 2018. Few, if any, books about the beginning of Mormonism start with an Indonesian volcano. 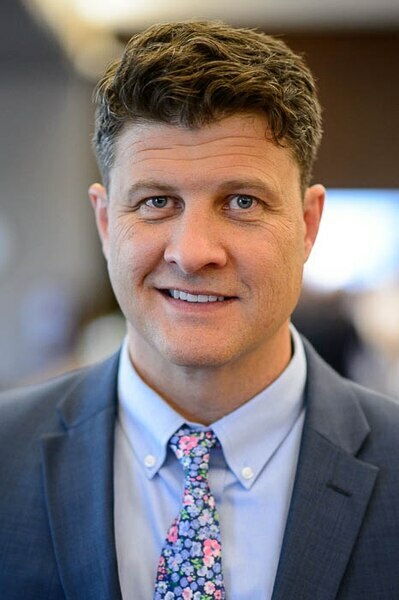 But that’s exactly where the Utah-based faith’s new four-volume history, “Saints: The Story of the Church of Jesus Christ in the Latter Days,” opens its exploration of the church’s first three decades. You see, the 1815 volcano’s effects “rippled across the globe,” according to the book’s first chapter, disrupting predictable weather patterns and causing drought even in faraway Vermont, a fact that propelled the family of Mormon founder Joseph Smith to pick up stakes and move to a more fertile land in upstate New York — where The Church of Jesus Christ of Latter-day Saints would be born. The volcano anecdote showcases the approach in “Saints” — an easy-to-follow narrative, with a breezy style that integrates details from the familiar Latter-day Saint story (it repeatedly uses first names such as Joseph, Emma and Brigham rather than last names, which gives it an intimate, personal feel) within a larger context, including Mormonism’s more controversial elements. Seer stones, treasure seeking, polygamy, race relations. They’re all there, though often simplified and condensed, and come on the heels of a series of official church essays that tackle the thornier parts of Mormon history, doctrine and theology. The project, which was unveiled Tuesday in a news conference at the Church History Library in downtown Salt Lake City, is the first official history since former LDS general authority B.H. Roberts put together his six-volume chronicle in the early 20th century. The first volume of “Saints,” which carries the subtitle “The Standard of Truth" and is available in print and online, was penned by a team of six writers, edited by at least that many, reviewed by several historians for accuracy, and approved by Latter-day Saint leaders at the highest levels. On top of that, the whole was approved all the way up to the highest church authorities. The book’s primary audience is church members, particularly young ones who might be less familiar with the twists and turns of nearly two centuries since Smith’s mystical experience of seeing God and Jesus in a grove of trees. It’s not just millennial Mormons who might find this new record appealing. The downside of such an approach, Park said, is that the text may not be as “meaty” as some would like. Again, that could be more about audience than scholarship. That does not mean it is unimportant. As far as Lisa Olsen Tait knows, “Saints” marks the first time women have been involved in writing an official Latter-day Saint church history. Utah writer Linda Hoffman Kimball celebrates the book's inclusion of women. No topic, however, probably generates as much interest as the early Mormon practice of polygamy, especially during Joseph Smith’s years. A poignant example is the description of two sisters, Emily and Eliza Partridge, who were first “sealed” (or married) secretly to the church founder, and then sealed again in the presence of Smith’s wife, Emma. The book may describe the arc of Mormon history, Mason said, but it doesn’t tell readers what to think about it.